We are glad to inform you, that from now on you can easily prevent spammy and botsâ€™ massages on your networks using CAPTCHA option. 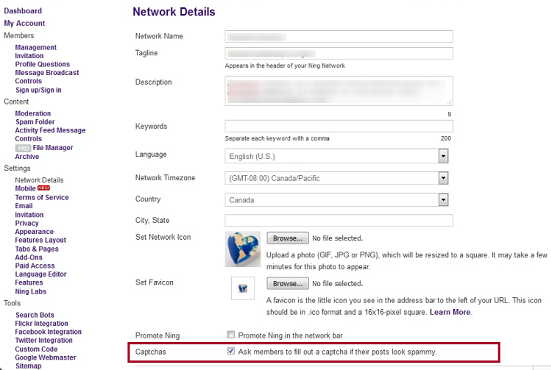 You can enable CAPTCHA in General Settings of your Network. Simply goÂ to Settings Network Details. Even if you disable it, your new member will see CAPTCHA once when they’re on registration page.